Why taking a break from Social Media was good for my Mental Health. Hi, my beauties, hope all is well. If you follow me on here and social media you may have noticed that I have been absent for the last couple of months on both my blog and social media sites such as Instagram and Twitter. I just felt like I needed a break from Social media and being online for my mental health. In today’s society where we seem to share everything online and are obsessed with having a perfect image. I just didn’t feel comfortable doing so. Anyway, without further ado, today’s post is all about why I took a break and how I learnt to overcome them thoughts and also share my summer outfits with you that I didn’t feel comfortable with sharing at first. One of the main reasons I stopped posting on here and Instagram was my own insecurities about my body. Being a fashion blogger and mostly posting photos of myself in outfits it’s important that I feel comfortable in my body as we all know the internet can be a cruel place and you have to have a thick skin to deal with nasty comments. I’m normally body confident but the last few months whenever we did photoshoots I didn’t like the pictures I could just see my mum-tum and thick thighs. Normally I wouldn’t care and post because yes I do have thick thighs and my tummy is not as flat as it used to be, because instead of going to the gym I like gin. But it’s not so easy when your biggest insecurities at the moment are in front of you and going to be shared online with strangers in a world full of Instagram models. Since my break away I’ve learnt that they will always be times where I feel insecure about my body and that’s totally normal. It’s about embracing the skin you’re in and loving it. I’ve also found following people online with similar figures to me helps me feel more comfortable so I follow people like Lily Melrose and Helen Anderson. Ok, I admit it, I won’t lie sometimes while browsing social media a bit of the green-eyed monster comes out to play. This is normal right? It’s hard to not get jealous when browsing social media when people portray that they have a perfect life, with their designer wardrobe, Instagram perfect house and avocado on toast for breakfast. When in reality you’re sat there in your old PJs, in a house that smells of damp with coco-pops for breakfast for the umpteenth time that week. It’s also hard when everyone seems to be growing and you’re still stuck in the same place. I’ve learnt since my time away what people choose to show online is not necessarily real, (cough Scarlett London cough) and fake it for the gram. I’ve also learnt that I put too much pressure on myself and don’t give myself as much credit as I should. Yes, my Instagram feed may not be perfect and my posts not regular but theirs more to life. I’m a mother, a housewife and I also work part-time and that in itself is bloody hard work without putting pressure on myself to look like I’ve just stepped off the catwalk and made avocado on toast for breakfast every day. Life is not a competition we all go at our own pace and if we put hard work and dedication we should reach our goals it might just take us longer than others. At the beginning of August, I lost my uncle who I was very close too. Grief and losing someone makes you look at life totally different and reassess your own life. It made me think that life is really about living and that we focus too much on the stuff that in the end does it really matter (cue me singing Linkin Park), how much money we make, or by his many followers we have. I mean, by all means, create a life for yourself and your family to live comfortably and if blogging is your passion blog away to your heart’s content. I guess what I’m trying to say is life’s too short and people won’t remember you for how much money you made or your followers online. They will remember you for the memories you shared and the times you had together. That’s why in the last month or so instead of socialising online, I’ve actually been socialising offline and made new friends and hopefully created some nice memories (some of which are a blur, as I do enjoy my gin). 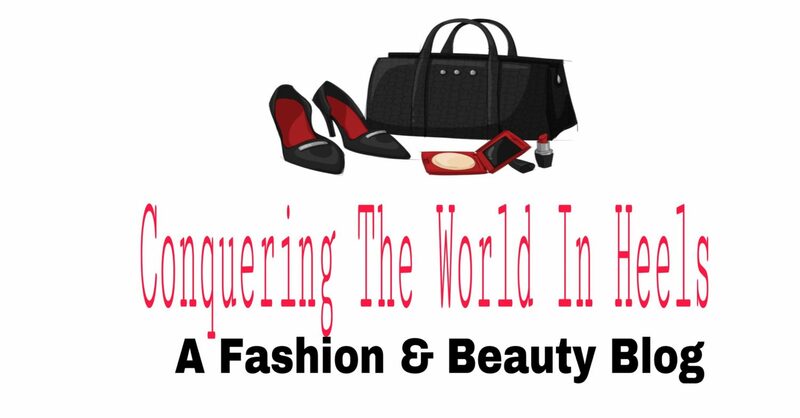 Hopefully, I’m back now and look forward to blogging more about all things fashion and beauty related. OOTD – How To Survive An Heatwave In The U.K.
Hi my beauties, hope all is well? For the last few weeks, England has been enjoying glorious weather and even seen some areas reach over 26 degrees. If you’re not from the Uk you might be thinking what that’s still cold but over here that’s bikini weather. We have to make most of the sunshine. This post will hopefully help you do that and fingers crossed provide you with outfit inspiration. 1. Prepare for the weather. Garnier Summer Body Light Gradual Tan Moisturiser – when used daily this tan will gradually give you a natural looking tan. It has a nice apricot smell and leaves your skin feeling moisturised. Bondi Sands Self Tanning Foam Dark – This tan when left on for a few hours ( i leave it on overnight) will give you a nice natural looking tan what is not orange shaded at all. Smells like holiday in a bottle. Solait Express Tan Dark – This tan is great for when you need to look tanned in a matter of hours. i simply apply and wash off 3 hours and i look like i’ve been sunning it up in the love island villa. It also has a nice tropical scent. If the weathers nice, while you are not at work now, is the time to prepare your plans and if your planning on a BBQ I’d recommend inviting friends and family now because if you leave it to last minute I guarantee everyone will already be going elsewhere either to a BBQ or a beer garden or have other plans. When you know what your plans are and the number of guests, make a shopping list and shop as soon as possible otherwise if you leave it until the day of the hot weather, BBQ food will be out of stock just like here in the winter when everyone panic buys bread and milk it happens in summer but with bbq food us brits are crazy right. Thanks, to the first step your now prepared for the weather your summer clothes are out of storage or your panic buy online is complete and you kinda have an idea of what to wear. Before getting ready I tend to think about what activities am I going to be doing today? If I’m working I can’t wear my shorts or a short summer dress so I tend to wear a midi dress or linen trousers. If I’m going to the pub I wear a summer dress and sandals and if we’re going to a family bbq or walk it’s shorts, t-shirt and trainers. One thing I would say to always carry in your bag is a jacket or cardi as later in the evening the weather tends to get cooler and we all end up huddling under the heater or fighting over who’s gonna wear the jacket next that the one smart person in the group thought to bring. Also bring a hat, shades and SPF. One of the most important steps is to remember to stay hydrated and drink plenty of alcohol water!! Here in the UK the first sign of sun and us Brits are off down to the local pub or having a bbq and drinking anything alcohol related. You might think because your drinking lots of alcohol your staying hydrated but in fact alcohol dehydrates you so drink water in between to stay hydrated and not feel as drunk because I personally find drinking in the sun makes you get drunk quicker. Trust me if you keep drinking water in between you will thank me for it in the morning. The most important step of all is to have fun and make the most of the sunny weather because it’s a rare thing but remember to stay safe. if you’re at work and you’re allowed to leave the building on your lunch hour get outta there and go for a walk. My favourite thing to do when the weathers nice is either go for a family bbq, take the daughter for a walk and to the park and if child-free go the beer garden as I like a pint or seven. In true British style, we moan about the weather when it’s too cold and when it’s too hot. Is it just me or does the sun feel hotter over here than abroad?